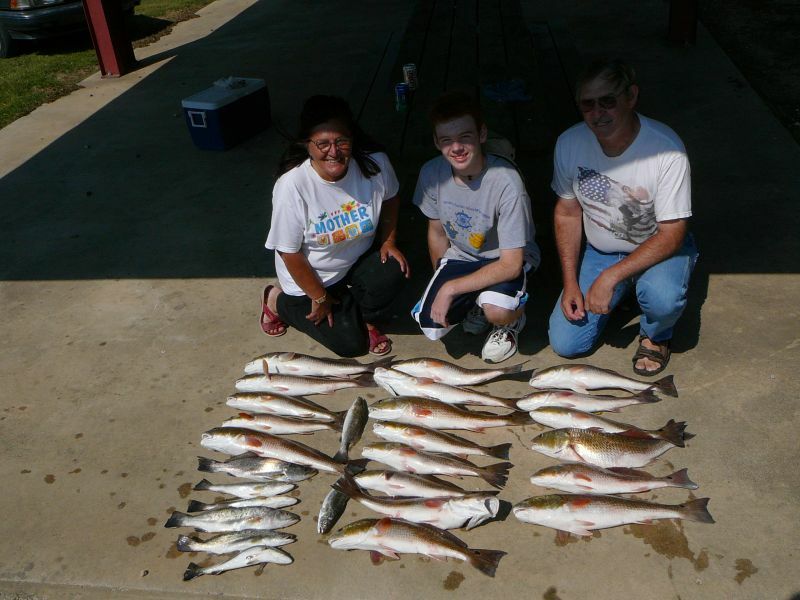 A limit of 2 to 3# Reds by 8:30Am and then a trip up the lake produced 21 nice Specks to fill another cooler. It was just another incredible day on Lake Calcasieu!!!!! Saturday Sept. 27,2008 Joann & Grandkids Join the Captain for Big Lake Fun! Saturday September 27, 2008 Joann brought the grandkids Down to get in on big Lake Fun. They about wore me out on the net. We had our limit of 20 Reds at 8:30am and a dozen nice Trout and one Flounder and we could barely close the lid on the cooler. 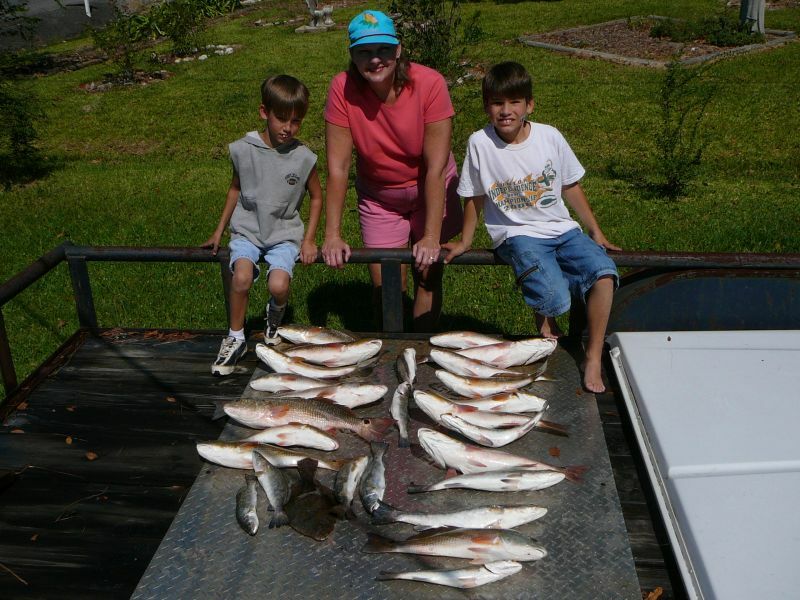 Shawn caught the most on Gulp Shrimp and Tommy used market shrimp to catch the bigger Reds. Thursday Sept 25,2008 Reds on Fire!!!! 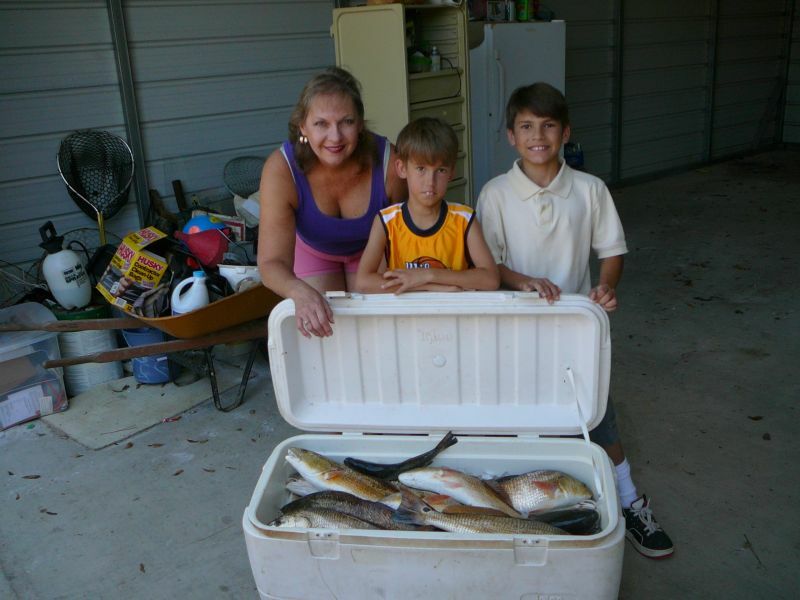 Tuesday Sept 23, 2008 Fishing & Kids & Fun Go Together !!! Tuesday 9/23/2008 was my first day on the lake since the storm but it started right were it left off. The only difference the reds were even more active, it looked like the water was boiling and they were happy to take our Gulp and live finger mullet nearly every cast. Everyone caught till our arms got tired and at 12:30 we left them biting! It just doesn’t get any better!!!! 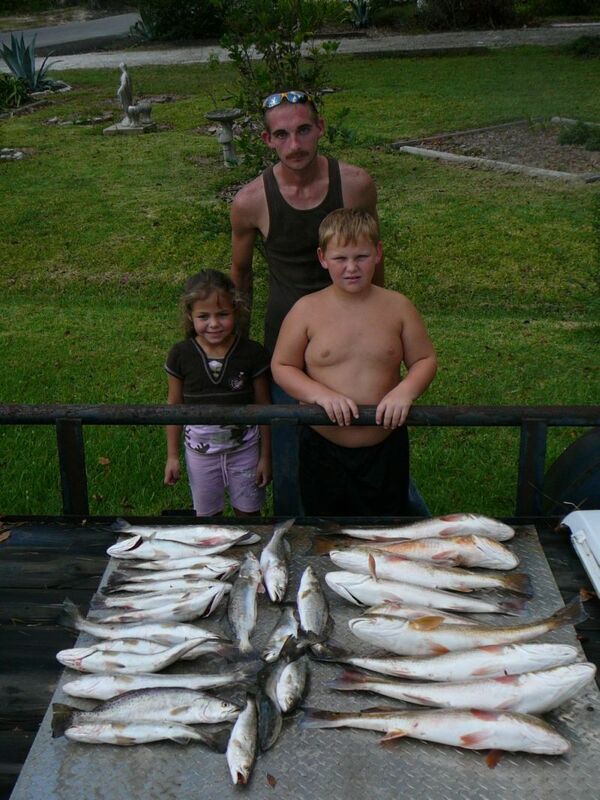 9/20/08 Post Ike, My Boat & Lodging are Fine and Ready for the Great Fall Fishing Ahead !!! I spent the last few days cleaning the yard of tree branches but fortunately I am 15 miles north of the lake and had no Damage. Hackberry & Cameron and other small communities around the lake were not as lucky . Between the stresses of the storm and the financial markets Lake Calcasieu offers us a wonderful place to escape for a day or two and enjoy time with our friends and families. To try and give something back to the area that gives us something special I am donating $ 50. of every trip that I book throught the end of the year to Hurricane Ike Relief. Sept 14,2008 was Blake B,s of Houston’s Lucky Day! 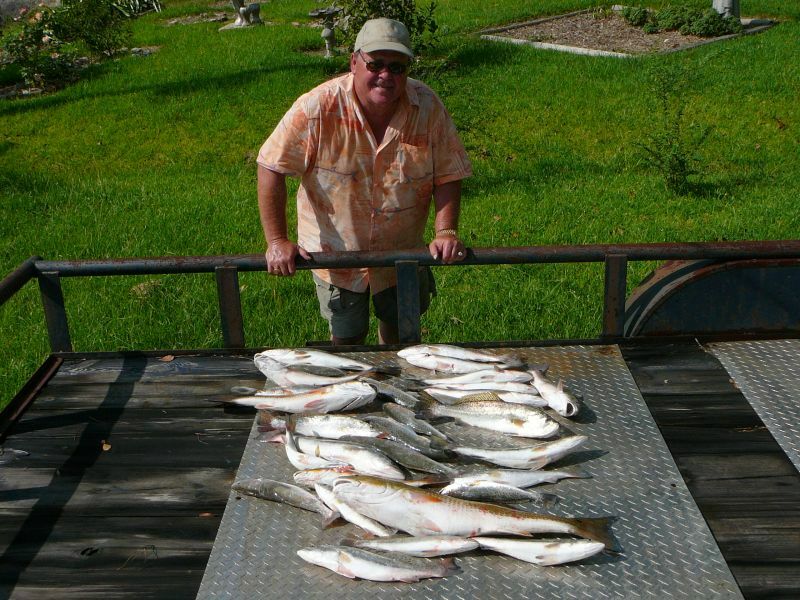 A nice Limit of Trout and a 9# Red to complete his 3rd trip with Captain Tom. The Storms will make for great fishing until January. Call 318-675-9114 to get in on some Great Fall Action!!!!!!!! !